Catie is a broadcast journalist for ESPN, NBC and the FEI. Catie Staszak, broadcast journalist for ESPN, NBC and the FEI, may have had an entirely different life and career were it not for a sign on the side of the road. She was only 3 years old when her family moved to South Florida from Philadelphia, Pennsylvania, but she remembers a particular drive near her home shortly after their arrival. Her mother noticed a sign on the side of the road advertising a horse show, which led to riding lessons for Catie, and helped to determine her career choice. Catie with her first horse Sobrie that she got when she was 6. Catie and her family rescued him from neglect, and he turned 24 this year. At the University of Miami, Catie became involved with the university’s broadcast station where she produced, directed, edited, wrote and was on the air. 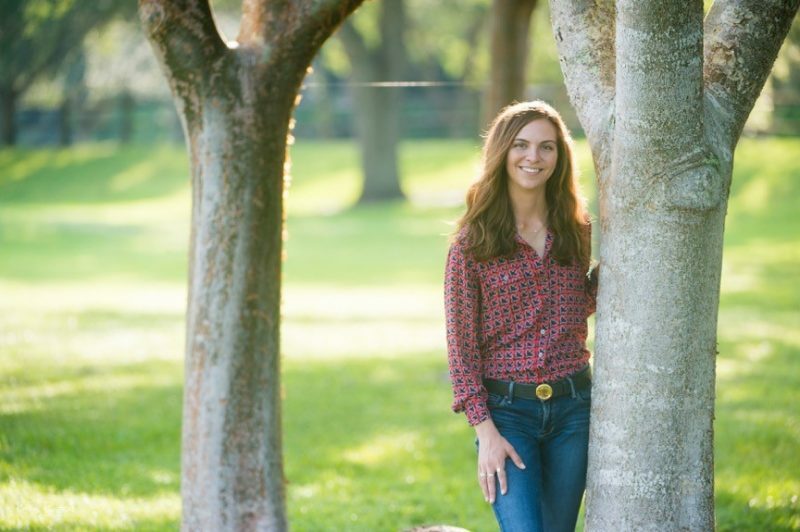 Following her love for equestrian sports, she earned an internship at Gulfstream Park racetrack during her senior year, which turned into her first job just after graduation. Catie was the youngest handicapper in the country on the national simulcast and followed that with a job with ESPN West Palm, where more opportunities came her way. Although Catie accomplished one of her biggest childhood dreams of riding in the Medal and Maclay Finals in 2009 and 2010 and is currently ranked fifth in the country in the Ariat Adult Medal standings, she began riding in a low-key, relaxed manner. “I started out in a Western saddle with a bicycle helmet at a very small backyard barn,” Catie recalled. “I was only 3 years old, so there wasn’t all that much that I could do, but I showed in a few Western pleasure lead line classes.” Catie loved the experience and when she was able to ride independently, her mother, Cathie Staszak, began to look for a place where she could learn more. 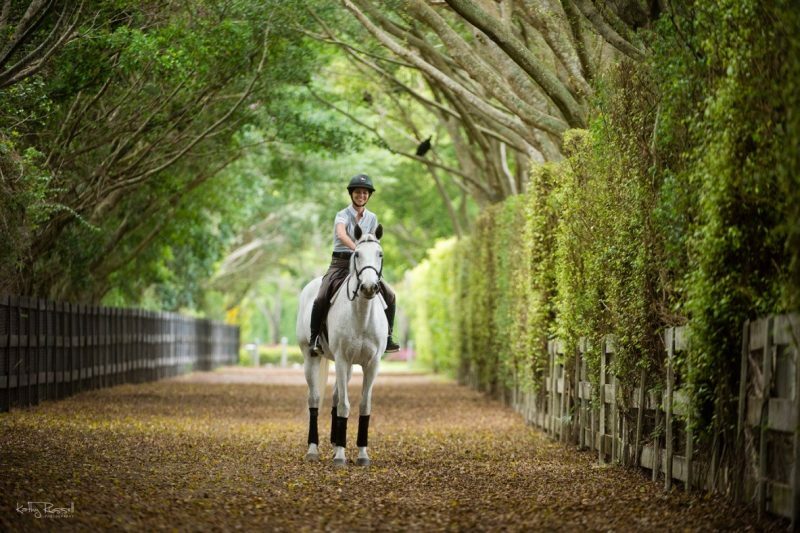 A more structured riding program began for Catie at Tan Line Stables in Delray Beach, Florida. Catie discovered her dreams would be realized when she went to Castlewood Farm, because it wasn’t a matter of if she would go to the Finals but when. Catie competed in 2009, and while not in the ribbons, she was especially proud of her ride in the 2010 USEF Medal Finals on L. Alta Vida — affectionately known as Pokey — whom she leased for her last junior year. “Going to all the Finals was my dream, and to be able to achieve that was huge for me. I was really proud,” she said. Pursuing a university degree was always a priority for Catie. As she began college at the University of Miami, she continued to drive to Castlewood Farm in Wellington, but with the distance and with her class schedule, she wasn’t able to get there as often as she liked. Susan helped set up a closer alternative for Catie with Tiffany Morrissey of East Wind Farms in Ft. Lauderdale, closer to the University of Miami. Tiffany helped Catie to continue riding around her busy academic schedule. Catie emphasized that her parents, Ray and Cathie Staszak, were, and still are, extremely supportive of her and her riding, but once she was in college, Catie began paying for her own riding expenses since her parents were financing her education and also dealing with the costs of some health issues in the family. Not being able to afford her own horse or to lease extra horses for a weekend show helped make Catie even more appreciative of what she was able to do, and to refrain from comparing herself to others. 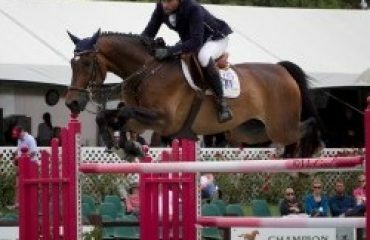 “I’m a firm believer that it’s not about how big you’re jumping; it’s how well you’re jumping the fences,” Catie said. “Everyone has something that they’re going through; it may look amazing on the outside, but I’m sure everyone has their own struggles. 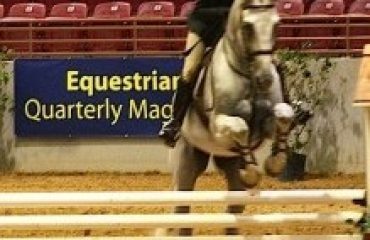 Catie and Agnes, in Wellington, Florida, are competing in the Ariat National Adult Medal classes and are ranked in the national standings. Catie graduated from the University of Miami at the top of her class and with a perfect 4.0 GPA. Armed with her hands-on experience at the university and aware that the traditional path for broadcast journalism would be to put in her time covering mainstream news before getting to do sports — and even longer before being able to specialize in horse sports — Catie interned, and was subsequently hired, at Florida’s Gulfstream Park racecourse. She acquired valuable on-air experience as the youngest handicapper in the country on a national simulcast. 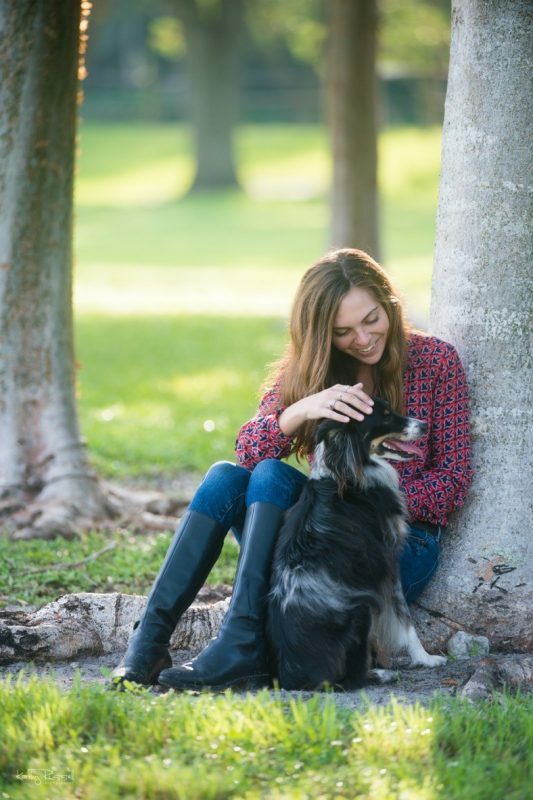 She also spent time working at ESPN West Palm, where she covered mainstream sports and occasional equestrian competitions in Wellington for the local WPTV News Channel 5 and Fox 29. Catie was also a SportsCenter update anchor on ESPN 106.3. Being able to do one good job has led to more for Catie, and it has happened as a result of hard work and attention to detail. She is scrupulous about doing her own research, and talks with the course designers and walks the courses with the riders. As a rider herself, she better understands the course complexities and is well prepared before commenting on a class or reporting on a competition. She has accomplished another dream to join the Longines FEI World Cup Jumping North American League, working with them at all the World Cup shows. Catie has also been added to the Nations Cup circuit this year and was a moderator at the FEI Sports Forum in Lausanne, Switzerland. Her goal is to use her background in the equestrian, mainstream media and broadcast industries to help increase the exposure of the sport she loves most. Early in her career, Catie adopted the idea to be a “one-woman band.” In addition to doing her own research, she often shoots her own video and edits her own pieces. She recently incorporated her business, Catie Staszak Media, Inc., where she offers producing, writing and media consulting in addition to her on-air talent. Although Catie’s career involves a lot of travel, she still works with Tiffany Morrissey to ride as much as possible. Catie admits that finances are a struggle since she is on her own and just starting out in her career, so she rides horses that are for sale at East Wind Farm. She started riding a grey mare called Agnes, a former school horse, simply because she was available and to everyone’s surprise, it has worked out very well. Catie and Agnes have continued to strengthen their bond as time has gone on. They’ve competed at Capital Challenge the past two years, and in 2017, they were eighth in their first attempt at the Ariat National Adult Medal Finals. While it sounds quite busy, Catie wouldn’t have it any other way. Last year at Capital Challenge, she completed her lap of honor on Agnes and immediately hopped off to run up to the media booth — still wearing her helmet — to do the commentary for the next class. And to think it all started with a sign on the side of the road.